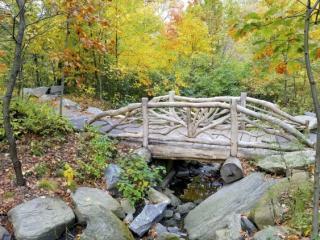 The North Woods is one of the three main woodland areas of Central Park. It is a popular spot to view birds such as woodpeckers, hawks, and warblers. The Ravine offers wildlife habitat with fallen trees, dead snags, and a stream called the Loch.